At King's we strive to get to know every student as an individual and to fully acknowledge and develop their strengths and talents. 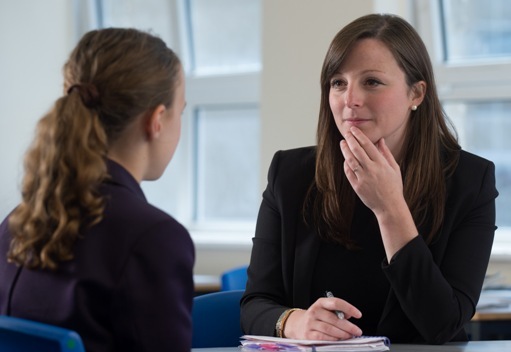 Tutors play a central role in the academic success of every student, through their daily contact with their tutor group and the cycle of personal target setting and review sessions. The school's pastoral system is tightly linked to the academic monitoring systems; providing a robust and reliable approach to the individual tracking of students' achievements during their time at the school. The school's tutorial programme enables students to develop study skills, social responsibility and an awareness of their place in the community, both within school and beyond. Students participate in all areas of school life, from leading briefings and assemblies, to running the Student Council. Being a new school provides students with an opportunity not afforded to those in established institutions. This means that the students help us shape the school from its physical environment to the extra-curricular programme. Student feedback is a formal part of teachers' lesson planning, and reviews of the quality of our teaching and learning directly involve the voices of the students. All students are encouraged to participate in a programme of enrichment and extra-curricular activities. Promoting healthy eating is a priority for us both in the curriculum and in the food we provide.